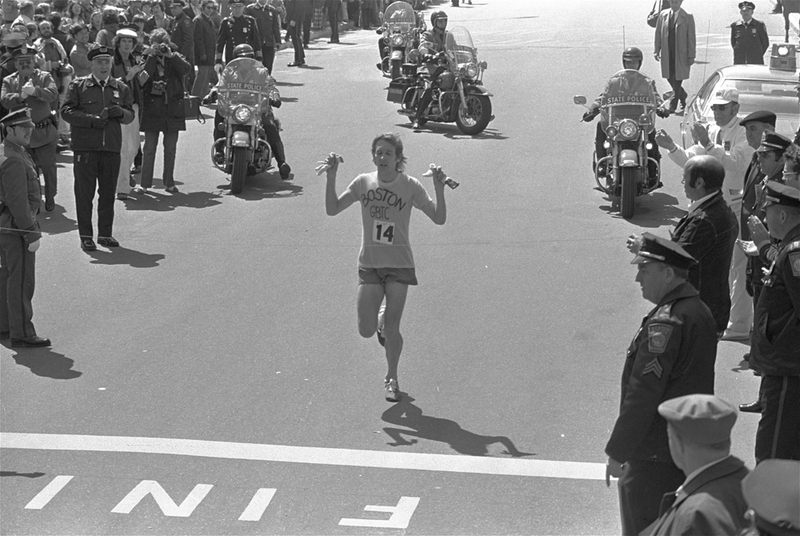 In this excerpt from the archives of my old Runners Digest Radio show in Boston, we go on-the-run with marathon legend Bill Rodgers, four-time Boston and New York City Marathon champion of the mid-to-late 1970s. During our run Bill talks about his transition from ex-college runner to resurrected marathon runner. In my previous post, THE FESTIVALIZATION OF SPORT, I suggested today’s young seem, on the whole, less rigorously competitive than previous generations. There are far more options these days, but perhaps part of it has to do with the stresses today’s youth are under as a matter of every day experience — not to mention how the expectations of yesteryear and those of today do not nearly match up with one another either. In the aftermath of World War II many nations had to dig out of devastation, left with the psychic remains of shattered lives. My mother was one who saw her world destroyed, but was fortunate to find refuge in America, which sat alone and free. This gave her Baby Boom children the freedom to dedicate themselves to youthful ways well into their adult years. While the youth of today remain at home much longer , Boomers had the luxury to remain more infantile longer. When I moved from St. Louis to Boston in August of 1973, I shared a two-bedroom, one bath apartment with three friends. We paid $160/month, $40 each. I had just left Washington University in St. Louis, a well-regarded liberty arts institution. In looking through some old papers in the attic of my parent’s house 40 years later I found a receipt for my final semester from the early 1970s, $1250. Today, the same apartment that we paid $160 for in Boston is now $1525/month, while a semester at Wash. U. in St. Louis is $22,420 and rising. Could this be why American kids in the 21st century seek less strident forms of release? Perhaps best known for his many brilliant articles in Sports Illustrated, for whom he began writing in 1971 while still an active world-class marathoner, Kenny Moore later had his SI pieces compiled into the book, Best Efforts, a must-read for anyone who loves the sport as well as fine writing. 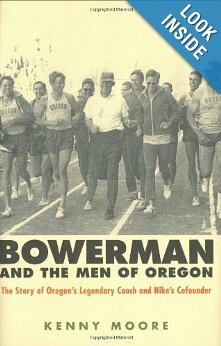 Moore was one of The Men of Oregon, the subtitle of his 2006 biography of the University of Oregon’s legendary coach Bill Bowerman. Our Runner’s Digest radio show had put together a 75-station network for the 1982 Boston Marathon. This was back in the days when running was still consumed by a general public as primarily a sporting contest. That Patriot’s Day I was stationed at the finish line above Ring Road below the Prudential Tower. This was the old marathon finish line, pre-John Hancock 1986, directly across Boylston Street from Hereford Street. We had six reporters strung along the course giving live updates from the field. To help with their assignment, we put together what we believe was the first press guide for the Boston Marathon. Four of those pages are contained in this post. By Boston 1982 the running boom was thundering over the land at its highest decibel level. But when word leaked out that Wayland, Mass. native Alberto Salazar was coming back from Oregon to compete for the first time in the hometown marathon, well, for those who have never experienced the excitement that foot-racing once caused, all I can tell you is that the needle was pinned to the far right of the gauge that year. Every TV station in town met him at Logan coming in. He tried to keep it low-profile, but his dad tipped the press. Al was not happy.